Guided Tour from Rome to Assisi, Florence, Amalfi Coast. Explore italy with us! the very famous phrase by Verdi that has been requoted by many through times. With us, AcrossRome, you’ll go on a journey to explore the best of this magical land . Across Rome provides a simple and excellent airport transportation shuttle service, 7 days a week between airport and nearby cities. AcrossRome offers you efficient transfer from Rome airports and ports (Civitavecchia cruise port) to and from your hotel or your favourite location (airport or station). From the ancient world of Rome to sailing along the Amalfi coast, with us you can personally design your trip to a rugged and adventurous one or an urban and sophisticated one. 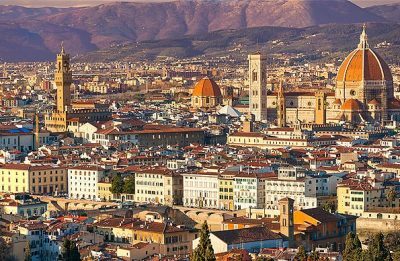 With AcrossRome you can have the best experience from most of the Italian Ports, private luxury vehicles, private touring, private guides, maximum experience all at your comfort, what else can you ask for. As St Augustine once said “The world is a book, and those who do not travel read only one page”. Visit Italy with Us, explore it, discover it and live the dream!